The Ambassadors Program is a platform for empowering African Civil servants to guide and advance the identity agenda in Africa. It consists of senior-level representatives of government agencies that are considered identity stakeholders in their country. These individuals have clear missions to support the development of legal identity and its sectoral applications in their countries, and they are selected through a rigorous nomination process. 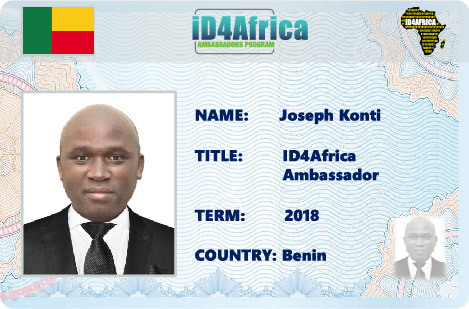 The Ambassadors play an integral role in shaping the direction of the ID4Africa Movement, keeping the organization informed at a granular level about issues that are pertinent to the whole identity ecosystem in Africa. Born March 19, 1977 in the city of Tanguiéta in the Republic of Benin, Mr. Iropa Joseph N’Goabi KONTI, is trained as the manager and economist-statistician, he holds a degree in Management, a Diploma of Engineer in statistics, a Master’s degree in Economics, Option Environment and Natural Resources, as well as a Master in Populations and Urban Dynamics. From 2007 to date, he has successively held the positions of Independent Consultant on various topics of study, Project Manager Support Switzerland to the Recovery of Local Economy for the benefit of municipalities of the department of Borgou (Republic of Benin) and Director General of Structures in the Ministries. In this capacity, he has been Chief Operating Officer since April 20, 2013, the date of his last appointment. In this post, he has built a solid experience on the analysis and management of the problems of the identification of people: civil status, population register, identity documents. For example, he led the technical organization of the national forum on civil status reform, the comprehensive evaluation of Benin’s Civil Status System, the development of the National Civil Registration policy and several actions and studies on the issue of civil status. For the past five (05) years, he has been implementing the reform and modernization of Benin’s civil status. In this position, he is a member of the National Supervisory Commission for the development and updating of the Permanent Computerized Electoral List (LEPI). He is also a member of the Technical Steering Committee of the Initial Administrative Census for Population Identification Vocation (RAVIP), which is underway in Benin since 1 November 2017 and will lead to the establishment of a Population Register. At the request of his authorities, he is currently leading the reflection on the modernization of civil status in the post-RAVIP context: legal reforms, establishment of the National Agency for the Identification of Persons, measures for a legal identity for all Beninese by the end of 2018, etc. Mr Allassani OUEDRAOGO who is an engineer of computer design and Innovation is the Director of Cabinet and Technical Advisor of the Ministry of Development of the Digital Economy and Posts of Burkina Faso He was Director General of the National Office of Identification of Burkina Faso Faso. In this position, he managed the system of issuance of the national identity cards Burkinabè (CNIB) and biometric passports and ensured the establishment and exploitation of the database of identification of the Burkinabè population. He was also the Secretary General of the Commission of Informatics and Liberties of Burkina Faso, which is the first African authority to protect personal data. In this post he carried out several actions to sensitize the Burkinabè population on the stakes of the protection of personal data and on the provisions of the national law protecting personal data adopted by the National Assembly in 2004. 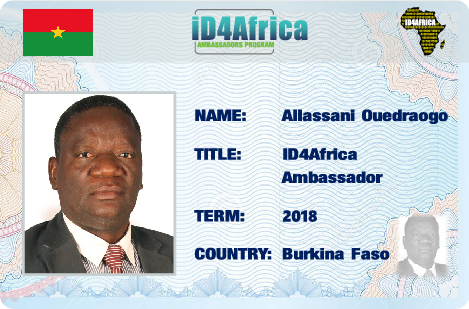 He also Conducted missions to several public and private companies in Burkina Faso who process files containing personal data in order to verify compliance with the provisions of national law on the protection of personal data. He also held several senior positions in the Public Administration of Burkina Faso. In particular, he was Director General of the Coordination of ICT Programs and the Head of the Department of Studies and Computerization. Jean Paul Ntsengue is a lawyer by training, a graduate of the University of Yaounde. From 1992 onwards, he worked as a legal adviser for industrial enterprises in the private sector, a consulting lawyer, consultant and a researcher before joining the public sector. In parallel to these activities, Jean Paul Ntsengue was trained in the field of political science, economics, finance and communication. He is the author of a reference book entitled “The President of the Republic: Myths and Realities of the Executive” available online at www.artelittera.com under the heading “Political Science”. Jean Paul Ntsengue worked at the National Election Observatory (ONEL) of Cameroon between 2002 and 2003 as Political Adviser. Between October 2008 and May 2010, he was recruited as a Legal Expert consultant to the Government Technical Commission to negotiate the FLEGT Voluntary Partnership Agreement between Cameroon and the European Union (APV-FLEGT-CMR-UE) . At the end of this mission, he was solicited by Elections Cameroon (ELECAM), an electoral institution in which he currently serves as Technical Advisor, Director of the Office of the President of ELECAM. Mr. Andrien Nestor ZOUAKA, is a Senior Officer of the Central African Police, holds a PhD in criminology, he began his career at the National Central Office – INTERPOL-BANGUI where he undergoes several trainings, ranging from the field of Information Technology and Communication (ICT), the securing of computer data, the search for computer criminals (cybercrime, cyberattack), as well as the supply and management of INTERPOL’s databases, at the organization’s headquarters in Lyon (France) between 2008 to 2009. For 3 years, he worked alongside the Congolese National Police, as part of the United Nations Organization Stabilization Mission for the Democratic Republic (MONUSCO), as technical advisor and trainer in the project. IT-TRAINING (Computer Training for Congolese police officers and agents). In December 2015, he was appointed National Expert for the security of biometric data in the CEMAC community area, a position he held cumulatively in the post of Director of Emigration – Immigration, then Expert, Director General in charge of the Administration and Management at the General Secretariat of the Interministerial Committee for the Fight against Drugs and Drug Addiction (SGCILDT). Mr Josias TARADOUM, was born in Sarh in southern Chad. He was a bachelor’s teacher and served as a lecturer at Miandoum then Director of the Ecole du Center de Bébédjia before his admission to the Ecole Nationale d’Administration et de Magistrature (ENAM) where he Fini major in the local government sector. After leaving ENAM he was assigned to the Ministry of Territorial Administration and Decentralization and was appointed Head of Studies and Prospective. In March 2013, he is admitted to the recruitment test of the Civil Status Officer in the Support Program for Good Governance (PAG), funded by the European Union. It supports the Ministry of Civil Status for the establishment of a national vital registration center, trains registrars and registrars, magistrates and communicators on civil registers in Chad and Contributes to the popularization of these texts. He has carried out experience capitalization missions in the field of civil status in Cameroon and Senegal. Assistant Director of Studies and Documentation at the Independent Electoral Commission (IEC), I am a graduate of the Institute of Communication Sciences and Techniques (ISTC – Abidjan). My career began in 1998 at the National Institute of Statistics (INS – Cote d’Ivoire) as communication officer for the operations of the General Population Census of 1998 and Revision of the Electoral List 2000; I am responsible for coordinating public awareness activities. In 2008, I joined the Directorate of Studies and Civic Education (DEEC) of the Independent Electoral Commission (IEC). From 2010 to 2016, I intervene in the electoral processes as a trainer of local commissioners in various regions (Moyen-Comoé, Gontougo, Bounkani and Sud Comoé) for presidential elections, regional councilors elections and municipal councilors. Specialist (Master) in Information Systems Management (IS), my expertise is at the same time very rich and very vast in the fields of the risk management, the urbanization of IS, the management of the change, the management of portfolios of projects, management of organizations and projects, the organization of the consulting activity, the financing of projects, the management of multidisciplinary teams, marketing, the organization and strategy of IS, the economic management of a CIO, economic intelligence, governance of IS, management of the investment, outsourcing strategy, innovation and monitoring, passport service and service management. I am also a member of the Executive Committee of the NGO “Objectif International Science” (under Swiss law). Adviser for New Information and Communication Technologies in the Office of the Prime Minister of the Democratic Republic of Congo, Adviser in Charge of New Information and Communication Technologies in the Cabinet of the Minister of Finance (2010-2012) , Programmer Analyst (with specialization in biometrics) at the National Treatment Center (CNT) of the Independent Electoral Commission (2007-2011), Network Administrator of the Aid and Investment Management Platform (PGAI) at the Ministry of Planning , Consultant of the Development Gateway Foundation for the deployment of the PGAI, Assistant Secretary General of the University of Kinshasa (2007-2009). I am an affiliate member of the International Association for International Association for Counseling (IAC), the American Association for the Advancement of Science (AAAS), the DGroups community for an open government partnership (OGP – Open Government Partnership). I am the Director General of the National Agency of Information Systems (SI) of the State at the Presidency of the Republic of Djibouti. I worked a lot on the construction of the Djiboutian Government Datacenter, which contributes significantly to the pooling of the state’s IT resources, but also offers the State a common multi-service platform for hosting administrative computer applications to offer the administration’s communication and collaboration services such as VoIP, audio and videoconferencing while strengthening their security. 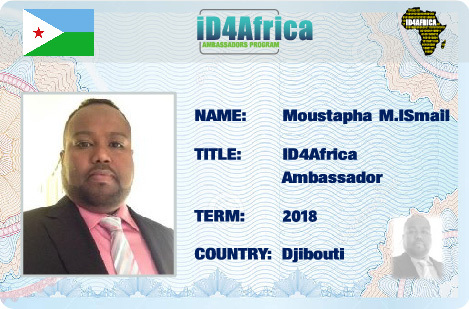 In addition to the urbanization of state IS and the implementation of a master plan for the development of electronic services for citizens, I am currently piloting the project for the design and implementation of a national system of identification and biometric authentication that will provide the Djibouti with a reliable and secure National Population Register (national or foreign). I also contributed to the development and implementation of the Social Register project, particularly in the technical specifications phase of the requirements but also in the delivery of the deliverables until the deployment of the solutions that is currently in progress. Previously in my career I worked in the Internet access service of Djibouti Telecom where I gained a solid experience in management and security of network infrastructures and critical systems. 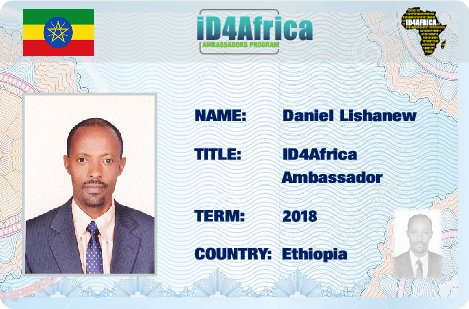 Daniel Lishanew is Director of Information Technology at the Vital Events Registration Agency of Ethiopia where he has maintained a decisive role in the implementation of the Civil Registration and Vital Statistics System since 2014. As a business administration and information system professional, as well as biometric expert, he has dedicated his growing expertise to government service and the Federal Police for nearly 20 years since 1997. Prior to his current role in the Agency, Daniel worked as Director of the Data Collection, Archive and Supply Directorate. He also worked with the Ethiopian Customs and Revenue Authority as Coordinator and Fingerprint Expert to help develop the taxpayer’s identification number system and biometric ID card production. At the Federal Police Forensic and Crime Investigation unit, he has held several roles in the main department such as Deputy Inspector of Police, Latent Fingerprint Expert, Team leader, Officer and Clark responsible for investigating forensic evidence from crime scenes which involve fingerprint detection and identification. Among his major achievements is the implementation of an AFIS system in the Ethiopian Customs and Revenue Authority & Federal Police Forensic Department. 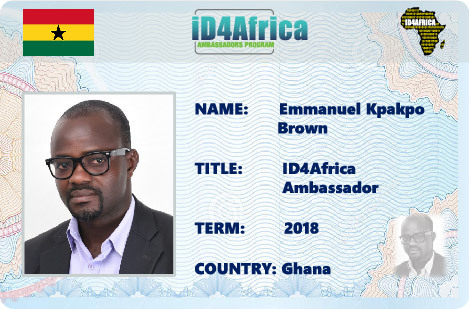 Emmanuel Kpakpo Brown is an Information Communication Technology (ICT) professional with a decade of work experience in the Public Service in Ghana and is currently a Senior Officer, Card Production, with the National Identification Authority (NIA), Ghana. He joined the NIA in mid-2010 when the country was in the process of kick-starting production of their national biometric identity cards. He was professionally trained and certified in Automated Fingerprint Identification System (AFIS) and Identity Cards Production Systems (ICPS). With this, he was initially assigned to the AFIS Investigations Unit and later reassigned as Supervisor of the Card Production Section where he applied technical and creative skills to ensure the successful production of over 3,000,000 national biometric identity cards for Ghanaian citizens. Emmanuel worked at the Ghana Statistical Service from 2005-2010 where he held various roles including Assistant Statistician and Head of Printing & Publications Section. He was also instrumental in the preparations towards the 2010 Population & Housing Census in Ghana. Prior also to the NIA, he provided six-months consultancy services as the National Communication Consultant for the Food & Agriculture Organization of the United Nations (UN-FAO) under the project, CountrySTAT Ghana which he excellently executed and reported to the Rome headquarters of the FAO. Emmanuel has profound interest and dedication in playing a key role in the attainment of SDG 16.9 which aims to “provide legal identity to all, including birth registration, by 2030,” especially in Ghana and Africa as a whole. 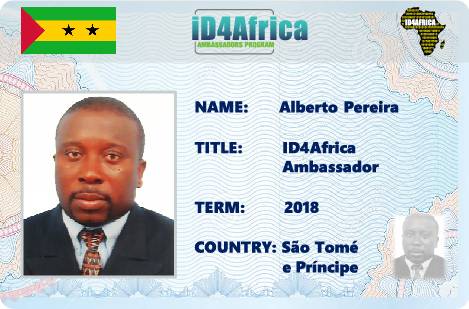 His expertise and profound dedication in the electronic identity industry endeared him to the highly reputable Board of ID4Africa; hence his honorary appointment as an Ambassador, ID4Africa – Ghana. Mory Camara currently leads the Guinean Electronic Governance Agency (ANGEIE), an institution that is in charge of the application of information and communication technologies (ICT) for the provision of government services, the exchange of information, communication transactions, integration of various systems and autonomous services between governments (G2C), G2B, G2G, G2E, as well as back-office processes and interactions across the entire government framework in order to put government services in a practical, efficient and transparent manner. 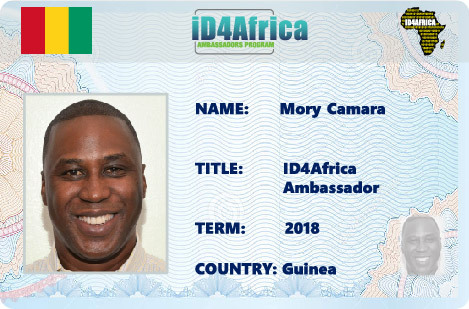 Mory Camara has extensive experience as a senior private sector executive with proven expertise in designing, architecting, deploying and managing complex and cost-effective network solutions around the world. Mory Camara has successfully developed process improvement initiatives, and implemented complex solutions in a simple and compelling way. Mr. Kimotho is the Director of National Registration, Kenya. He holds a Masters degree in Public Administration and a Bachelor of Laws degree. He is also an advocate of the High Court of Kenya. Mr. Kimotho has a wide experience in public Administration, Citizens’ registration (including Registration of births and deaths). 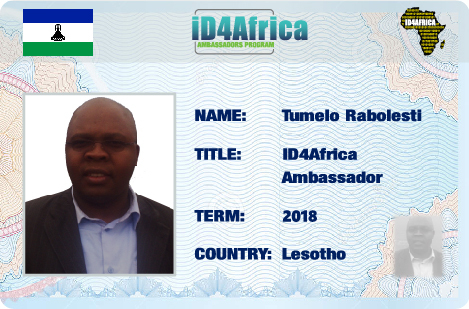 Tumelo Raboletsi is the Director for the National Identity and Civil Registry department at the Ministry of Home Affairs of the Kingdom of Lesotho. 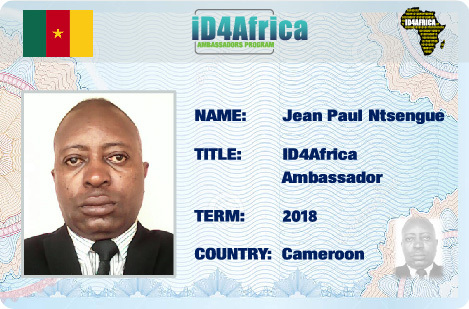 As Director, he has been instrumental in the establishment, design and current operations of the Department of National Identity and Civil Registry. He is also responsible for conducting consultations with relevant authorities to ensure appropriate staffing. Prior to his role as Director with the Ministry, he served as Acting Principal Secretary of the Ministry of Home Affairs where he was responsible for the departments of Immigration and Passport Services and was Project Manager for the integrated system of ePassport and Border Management system and the National Identity and Civil Registry system. Mr. Zeze Reed has been the Deputy Executive for Technical services since October of 2015. Mr. Reed brings to this position over thirty years of management and organizational skills, quality assurance, program development and training experience .Prior to joining the National Identification Registry, he severed as Project Director DATAWARE cooperation( Software Development Corporation), where he directed the integration of an on-line banking package for the Liberia Bank for Development and Investment (LBDI), supervised a team of business, systems and program analysts in the design and implementation of the entire on-line banking package, prepared materials and conducted training for LBDI staffs. Mr Reed also served as Senior Manager, Data Processing at the National Housing & savings Bank, Where he Managed the development of an interactive database for the bank’s operations, supervised team of programmers and systems analysts, developed a computerized reporting system for the bank’s operations including assets and liabilities, developed system maintenance procedures including backups and recoveries, planned and executed systems development projects using consultancies, prepared materials and conducted training for bank operations. 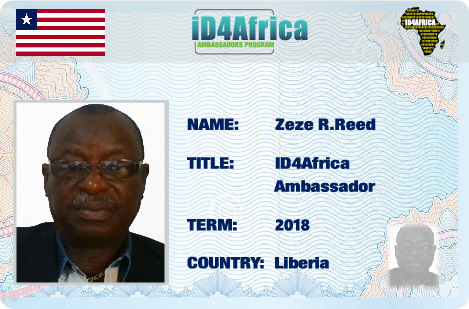 Mr. Reed holds a Bachelor’s degree in mathematics from the University of Liberia and a Master of Science degree in Information Technology Management from American University, Washington D.C. USA. 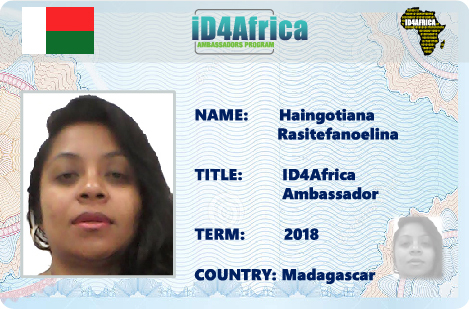 Haingotiana RASITEFANOELINA graduated from the National School of Administration of Madagascar and joined the Public Administration in 2010. After having been in charge of studies with the Secretary General of the Ministry of the Interior and Decentralization, she held the position of Head of the Support Service for Economic and Social Affairs in the Directorate of Territory Administration of this Ministry. Currently, she is Permanent Secretary of the National Coordinating Committee in charge of the improvement of civil registration and vital statistics registration systems or CNC-CRVS. A Committee created as part of the implementation of the APAI-CRVS Program (Africa Program on Accelerated Improvement of Civil Registration and Vital Statistics) in Madagascar. She thus ensures the operationality of this Committee, which is chaired by the Minister of the Interior and Decentralization and whose main activities consist in implementing government strategies and directives in the field of civil status. As the CRVS Senior Coordinator in Madagascar, she is the interlocutor between the different State institutions concerned by the civil status but also between the Committee and the Development Partners who support the reforms of the civil registration system. Recently, in collaboration with a team of consultants, she led the national evaluation of CRVS systems and the development of the ten-year strategic plan for the improvement of these systems whose vision is to have a system of civil status modern development, guaranteeing the rights and obligations of the individual, in the service of the community. A system to identify each individual from birth. Civil Administrator with a degree in Business Administration and Management, she also holds a Master’s degree in Business Law. She has followed several trainings in different countries in the search for the performance of Public Administration, the effectiveness of public policies and the improvement of governance in the public sector and local development. Sophie Kang’oma is a Demographer who started her professional journey with National Statistical Office in 2000 where she was involved in survey and census implementation including the production of statistics for country’s planning purposes. 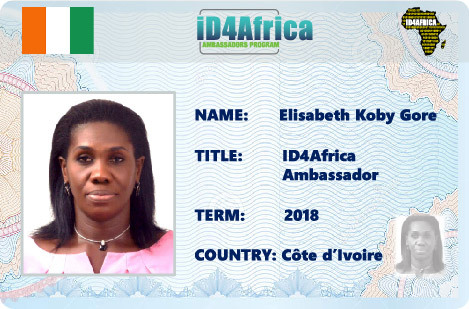 In 2008 she was promoted to a Deputy Director position and posted to the National Registration Bureau to assist on the establishment of the National Registration and Identification System which comprises Civil Registration System and National Identity System. One of the milestones achieved as a deputy director was the launch of birth registration in health facilities and districts offices. Sophie is now the Director of the Bureau and works tirelessly in ensuring that all stakeholders appreciate the need for the two systems mentioned above towards the social-economic development of the country. So far the system has gained political support which is vital for its success. Malawi is expecting to issue IDs with chip to all eligible individuals within the year. SY Abdoul, state engineer in computer engineering option system. Deputy Director of the data processing center in MALI since 24/04/2009. In this capacity, I coordinate, manage and control operations related to the smooth operation of the center. Senior administrator of the MorphoCivis biometric identification system, I ensure the system’s permanent availability for all users. Previously, I was the head of the IT department of the Ministry of Territorial Administration and Local Authorities from 2008 to 2009, in charge of the development of the department’s strategic communication and information technology plan. Design and realization of different databases including Elect-Ciel 1.1 for elections and Ciel-ONG for foreign investments for the benefit of the department. Mohamed NTILITT is a state engineer in computer science with more than 20 years experience in public service in Mauritania. Since 2012, he has been the Director of Informatics and Electoral Record at the Independent National Electoral Commission (CENI). Within this framework, it is responsible for organizing the Biometric Electoral Census, establishing the voters’ list and voter cards, and processing the electoral data. Prior to this post, Mohamed held the position of Director of Informatics and Statistical Studies at the Ministry of the Interior responsible for organizing elections for 10 years before this mission was entrusted to the CENI . He had previously been appointed Director of IT and Vital Statistics at the Secretariat of State for Civil Status. As Director, he played an essential role in the establishment of a National Identification Number (NNI) for each citizen and in the implementation of the “National Biometric Identity Card” project in the year 2000 , The result of which was the establishment of a national center with the Automated System for the Identification of Digital Fingerprints (AFIS) and the production of 2 million biometric National Identity Cards, which are essential for keeping the register National level and for the establishment of a reliable electoral list as a basis for the credibility of electoral processes and for their conformity with international standards and standards. 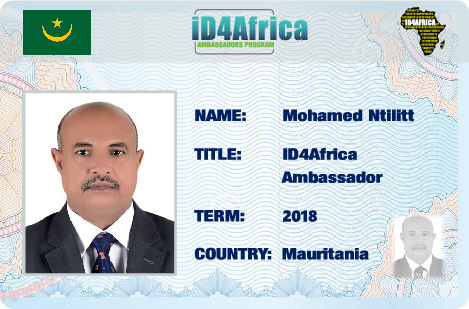 Mohamed is a great enthusiast of digital identity through the promotion of economic and social development, democratic governance and the improvement of security. 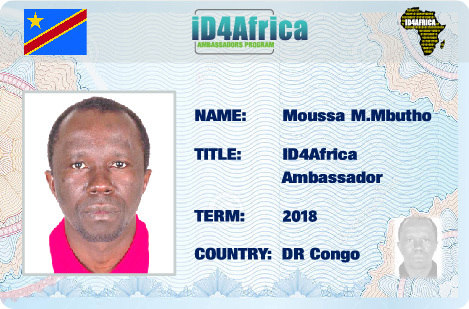 Finally, Mohamed is the head of the “Center for Studies for Democracy and Credible Elections” and President of the “ELMOSTAKBELL for Development” Association, a non-governmental organization in special consultative status with the ECOSOC of the United Nations and Member of the General Assembly of the Economic, Social and Cultural Council (ECOSOCC) of the African Union. 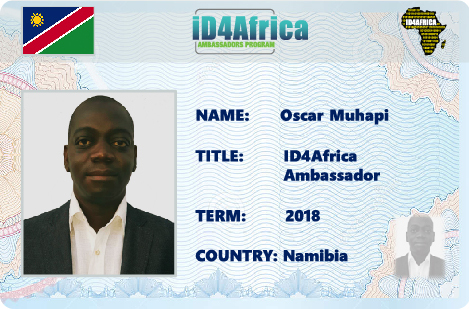 Oscar Muhapi Muhapi is the Control Administrative Officer heading the Division: ID Production under Directorate of National Population Identification and Production: Department of Civil Registration in the Ministry of Home Affairs and Immigration, Republic of Namibia since 2015. Prior to his appointment as the head of the Division, he headed the sub-division of Information Capturing and Production in the same Directorate. He has been with the Ministry for the past fourteen (14) years and has extensive knowledge in Civil Registration matters. His main responsibilities are: the overall management and coordinating activities for the production of Identity Documents, support the development and implementation of the Department`s long term strategic goals and annual plans, maintain and manage the ID part of the National Population Register, and to ensure effective case management of identification cases. 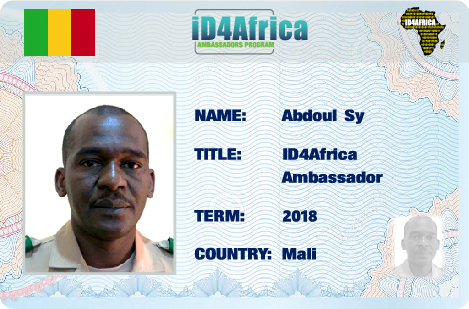 He has also carried out several monitoring and supervision missions to civil registration centers in the municipalities of Niger and is currently supervising the mapping of civil registration centers and the feasibility study Computerization of the civil registration system. Godswill Chinemerem Ukauwa, is trained in Law enforcement and Criminal Justice. His other academic qualifications in the field of Economics, Business Administration and Management become advantageous in diagnosing the effect of crime and criminality to the economy and the society. Having served in the Nigeria Public Service for over twenty years, he is no doubt exposed to identity related issues, and that ‘electronic identity’ is a necessity for the management of national economy and security challenges. He is an advocate of electronic Identity for all within the shortest possible time for socio-economic development and security enhancement. 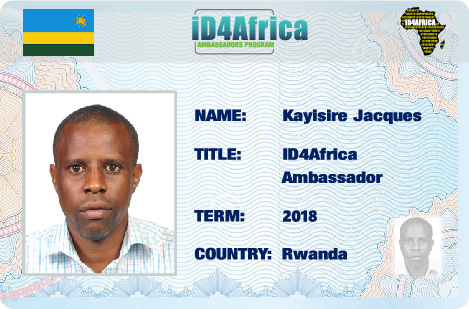 Jacques Kayisire serves as Director of ICT infrastructure at National ID Agency of Rwanda (NIDA). 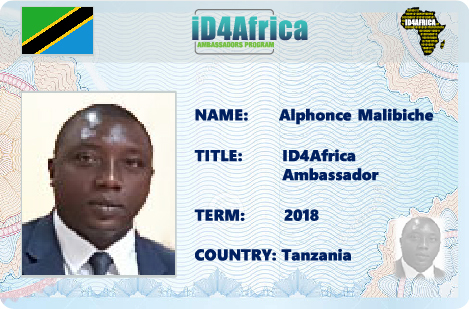 He possesses nearly 14 years of professional experience in the field of ICT and has been with National ID Agency for the past 9 years. He started as member of the ID Project Task Force approved Cabinet in 2008 as the Charge of ICT. Jacques Kayisire graduated in 2002 from PSG Collect of Technology and holds a Bachelor’s Degree in Electrical and Electronic Engineering. In 2009, he completed his Master’s Degree in IT Communication Management from Kigali Institute of Technology, in 2010 he received a Post Graduate degree in Project Management from Maastricht School of Management in the Netherlands. He has been involved in Planning and execution of ID Project and he has been involved in other government projects. 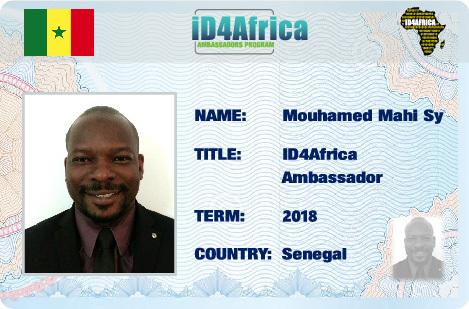 MOUHAMED MAHI SY has an engineering degree in studies and development, a master’s degree in business management and a certificate in web technologies after graduation. Mr. SY started his career in Paris, in The services and computer engineering sectors. In 2001, he returned to Senegal to join the company Chaka Computer, of which he will be the Director General. In particular, it contributes to the launch of Money Express, the first 100% African money transfer network, as well as the setting up of the Callme call center network (Senegal, Mali, Mauritania, Côte d’Ivoire, Mauritania and Guinea). Under his leadership, Chaka Computer will open a credit card personalization and biometric identification solution (Chaka Card Systems) in Cote d’Ivoire. He founded JSURF Consulting, a firm specializing in information systems and telecom consulting, which will be responsible for the launch of the Etrans Payment Systems, Agroway and BankAnywhere brands. It has accompanied the State of Senegal, through its institutions, on major projects related to ICTs and the digital economy. Mr. MOUHAMED MAHI SY is the Coordinator of the Computer Services Unit of the Universal Healthcare Insurance Agency of the Republic of Senegal. He is in charge of the implementation of the Integrated Management Information System for Universal Healthcare Coverage in Senegal. Elijah Koroma is a trained Information and Communication Technology (ICT) professional with about nine years’ experience in the private and public sectors and has acquired extensive practical knowledge in project management, Information Technology systems management, network support, technical support, advisory service and policy formulation. He has other academic qualifications in Electrical & Electronic Engineering, Management and Information Systems. 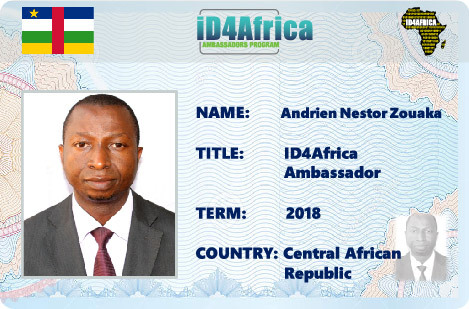 He is currently employed by the Sierra Leone Civil Service and presently with the National Registration Secretariat (NRS) as the technical lead to provide strategic leadership and technical direction for the establishment of an Integrated National Civil Register and an Identity Management System which also includes the development of an in-country biometric de-duplication facility. 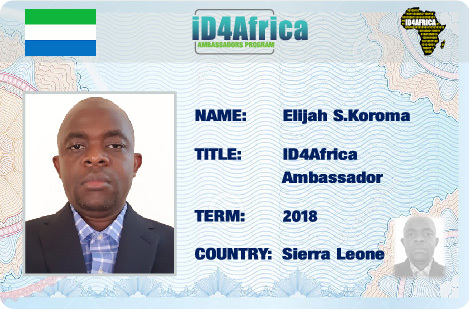 Elijah Koroma believes in civil registration and digital identity as a game changer and enabler of socio-economic development in Africa. 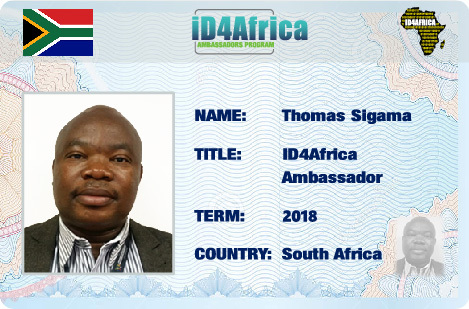 Thomas Sigama is the Chief Director of Identity Processing at the Department of Home Affairs in South Africa. He joined the Department in 2006 as a Director responsible for the National Population Register. 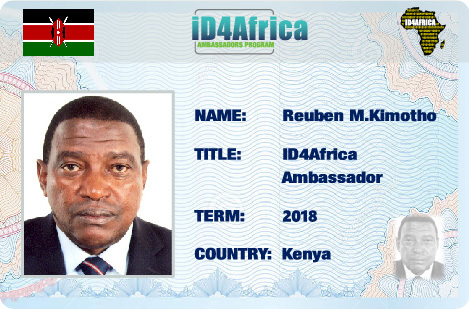 In his current position, he is largely responsible for the secured processing of all Identity Documents in South Africa which includes both the Green barcoded Identity Documents as well the newly launched Smart ID Cards. He is playing a leading role in the roll-out of the Smart ID Card throughout South Africa. His duties also include the management and maintenance of the Home Affairs National Identification System (HANIS), verification of demographics and biometrics, maintenance of National Population records (storage, retrieval and archive) as well as fingerprints of citizens and non-citizenry including Permanent Residence holders. He is in possession of a Bsc degree, Bsc (hons), Certificate in Public Management Development Programme and Advanced Diploma in e-Technology Computing. 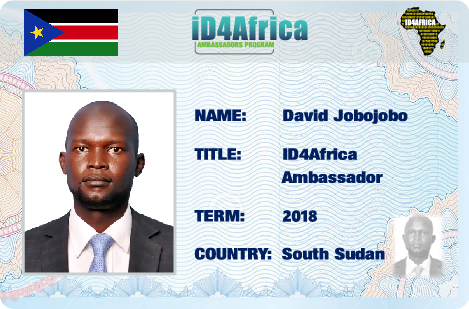 Major David Oroma J. Jobojobo is the Deputy Director for Information & Communications Technology at the Directorate of Nationality, Passports & Immigration (Ministry of Interior) in South Sudan. He is the lead Productions Manager at the E-identity (e-Nationality certificate and e-passports) projects in the country. He is the Lead e-Gov Consultant and systems Analyst on the State’s Major ICT Projects that integrates with the National Databases. Andile Dlamini is the Regional Civil Registrar for The Civil Registration and Vital Statistics Department under the Ministry of Home Affairs. As a civil registrar she is tasked with many duties that entail to the smooth registration of vital events. She was the chairperson of the Comprehensive country assessment that Swaziland took part in in 2014. Through the Assessment Swaziland has started implementing the recommendations raised. She was the driver of the legal framework team that was reviewing the legal framework, through that Swaziland has a zero draft bill at hand. She is also part of the management team that ensures monitoring and evaluation of the system and tools used for the registration processes. 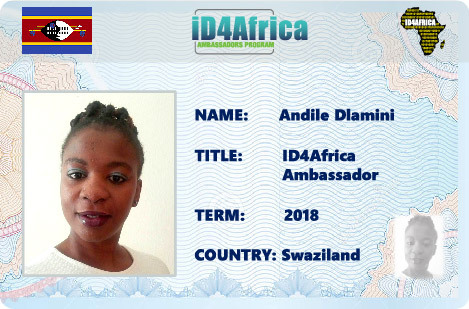 The ID4Africa Ambassador program is open to civil servants working for governmental agencies that are considered identity stakeholders in their country. Terms run for a 12-month period coinciding with the calendar year, renewable upon mutual agreement. 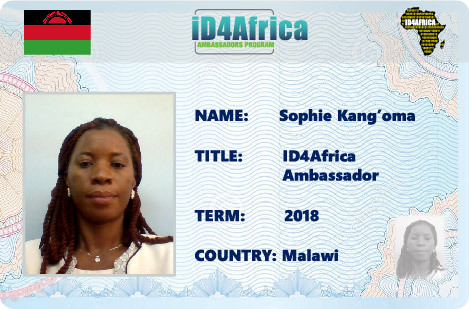 ID4Africa accepts applications throughout the year but makes appointments after the Call For Ambassadors which typically takes place in the early fall of each year. Appointments begin the following January. To apply to volunteer as an Ambassador, applicants must submit their CV and a minimum of two references from higher ranking officials from their government or a development agency. 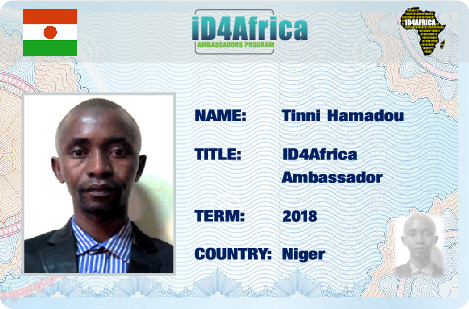 ID4Africa appoints one Ambassador per country. In the circumstance that a previously appointed Ambassador is being renewed for another term no applications from the concerned country will be solicited or taken for that year. Create awareness in their country about identity matters and ID4Africa as a Pan-African movement. 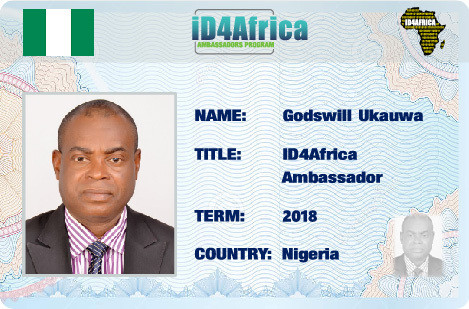 Act as liaisons between ID4Africa and those responsible for the development of identity programs in their country. Inspire others to do good through identity systems. Promote identity systems best practices. 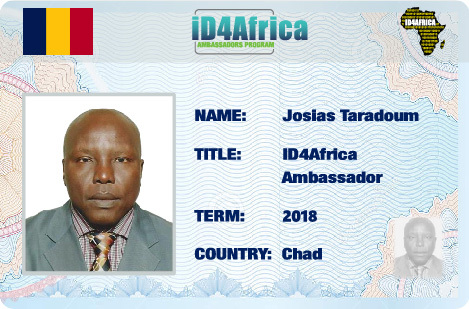 Participate in ID4Africa’s Annual Meeting as an advocate for identity concerns in their country. Operate within ID4Africa Code of Ethics and any policy directives issued by its Governance Body. The ID4Africa Ambassador Program is an equal opportunity volunteer program and selection is merit-based. Contact us here to present your candidacy.